Heat 1 tsp oil in a kadai & roast chana dal,Daniya,Tur dal,Urad dal,Red chilli,Peppercorns,Hing,curry leaves and tamarind till golden brown & crispy. Allow it to cool for sometime & grind them into smooth paste. Heat oil in a kadai & splutter mustard.Cook in medium flame. Add the grinded paste.Stir and add water. It boils and becomes thick and reduces in quantity & oil starts coming out.The water content evaporates. Switch off the flame.Milagu kozhambu is ready to serve with rice. 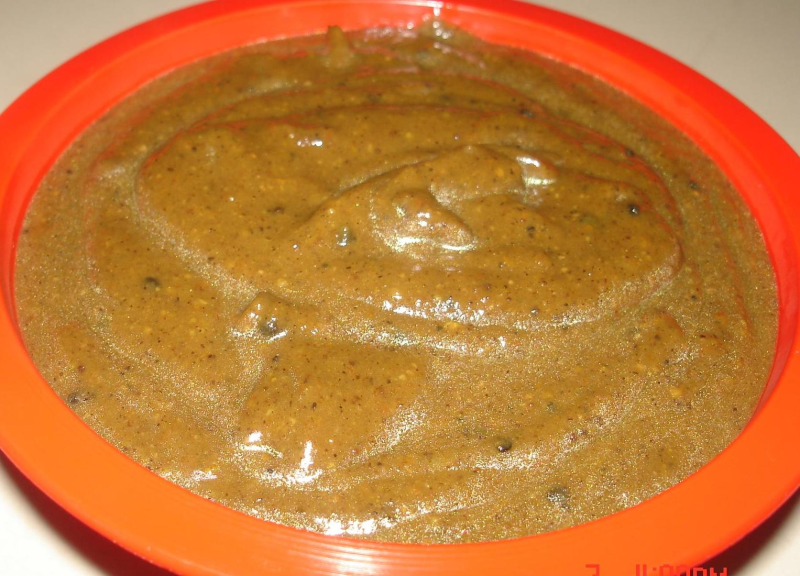 In this way,u can serve this kozhambu for atleast a week. please add Salt in step5.when it starts boiling and becoming thick add salt.sorry for missing out in step 5.